The Estwing E322P square section rock pick hammer has a flat face at one end and a pick at the other. Used by slaters or geologists it has a liquid vinyl grip handle bonded on to the shaft during production for added grip and comfort. 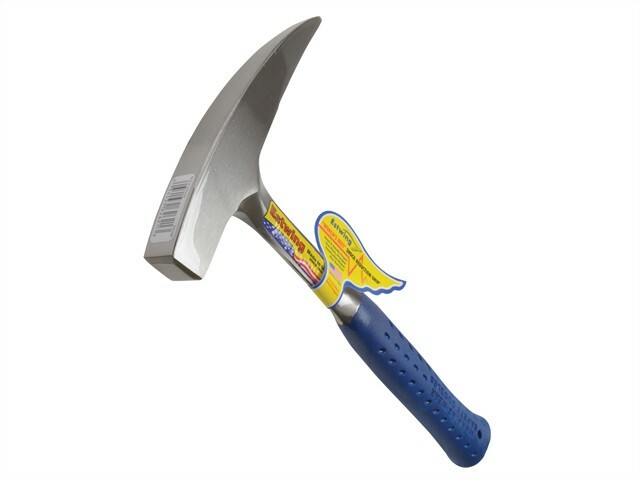 These Estwing high quality chisel geological hammer picks use the strongest steel which is forged in one-piece. The strongest known construction of its type. A tool designed for the geologist when working with rock or rubble.